This beautifully updated condo in the Boston Commons community of the Denver Tech Center (DTC) area is only 1-block from the Arapahoe Light Rail Station with quick access to shopping, restaurants, and other great neighborhood amenities. 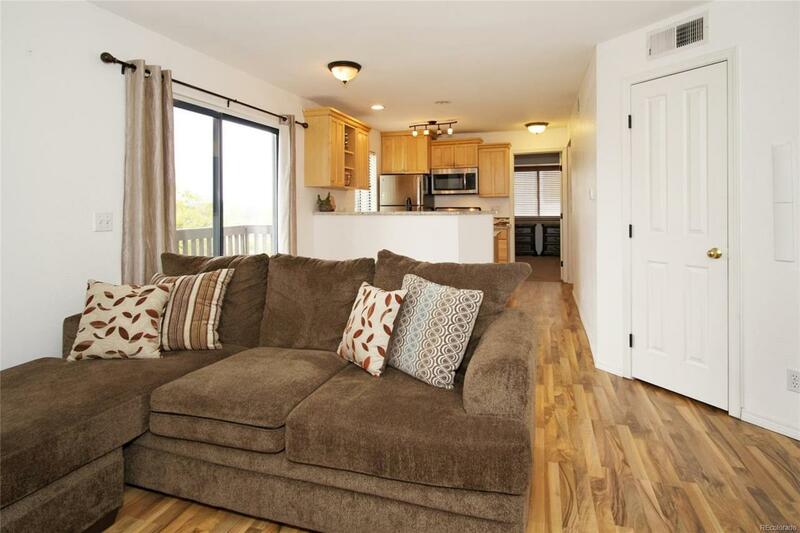 This 2-Bed and 2-Bath Condo comes with newly installed high-quality laminate flooring, the kitchen is updated with granite, stainless steel appliances, and bathrooms have beautiful oversized travertine tile. Located on the 2nd floor, the HOA includes pool & grounds maintenance, exterior building insurance, water/sewer/garbage, clubhouse & gym. This could be a great investment property or an amazing find for a business professional. As a bonus, the washer and dryer are included with your purchase. Don't miss your opportunity to tour this DTC condo today!